Ethical Pet Refillable Catnip Fleece Toys | Barks and Recreation Pet Services in Trail, British Columbia. 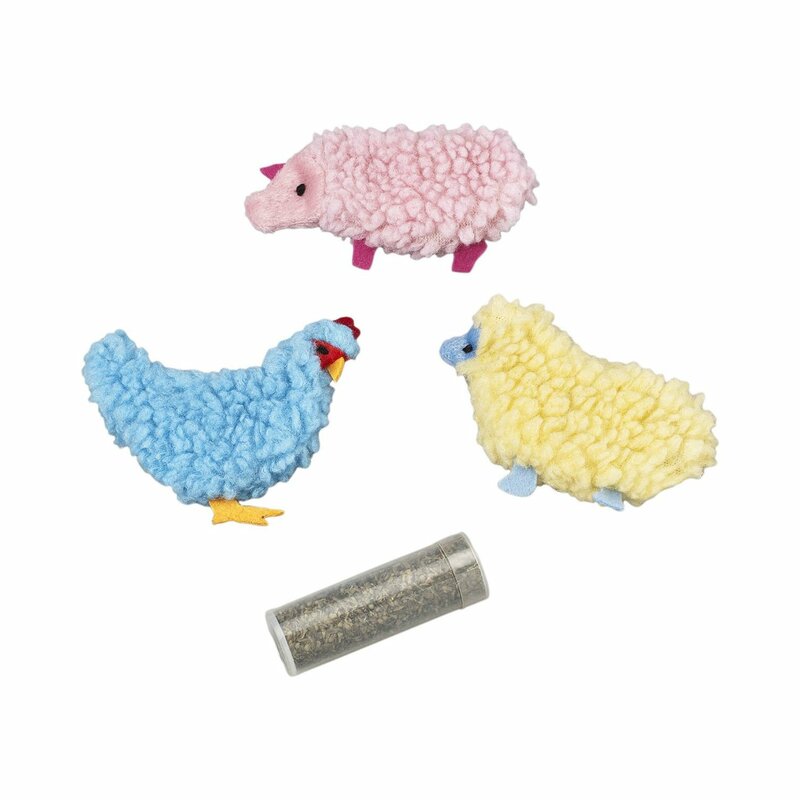 Ethical Pet (Spot) Refillable Catnip Fleece Toys come in a variety of animal shapes such as a pig, sheep, chicken, fish, dolphin, or lobster. Each have a small velcro area that allows you to open the toy and refill it with a new supply of catnip once the old loses scent. The product is also washable and will need to be washed as cats go bonkers for the catnip inside and tend to get the outer fleece shell icky from licking and playing with it so much.